Late last night I quietly marked the 1st anniversary of my mother’s death. Anniversary has always seemed an odd way to refer to someone’s death, because I really only think about anniversaries in relation to happy occasions. However when you turn to the dictionary, as we writers, are trained to do you find that this term is appropriate. Merriam-Webster defines an anniversary as “the annual recurrence of a date marking a notable event” and notable it was. That is the day that my world changed forever and a piece of me died. The hours, days and months have continued and with each day I have learned something new about me, and in turn about my mother. You see, I envisioned myself experiencing a total meltdown. A meltdown complete with days in the bed and tears that would never seem to stop flowing. That was not the case, and it is my mother who predicted what would happen. A few weeks before she died, at a time when I still believed she would be around for several months she calmly told me “you’ll be fine,” in response to my tear-filled rant about not knowing how I would manage to survive without her. I also give credit to my faith and belief that she is now in a better place and that she is no longer suffering. God has led me through this and along the way He has placed the right people in my path at the time they were most needed. As an example, over the last four days I have experienced the love and support of four different women, all keeping me grounded as my mother would do if she were here. This all began on Friday when a new friend presented me with a lovely book that celebrates the mother-daughter bond. The book “Still the Person I Turn To” is a compilation of quotes and Bible verses that speak to this special relationship and it was written by daughter’s for their mother. When Evelyn presented the book to me, she said she had reservations about whether her timing would be appropriate or if it would be too difficult for me to receive. I’m happy to say that the timing was perfect because I knew that it was given with love, and at a time when I needed to feel some joy. Saturday while researching family history I had to call my Mom’s sister to verify some information and that call turned into a long conversation about family and finally about spirits being channeled into the living. How, you ask? Well this past December when Cleveland experienced its first major snow storm of the season I was overcome with a desire to be outside in the snow, a trait I had left in my childhood years ago, and my only explanation for this desire was that my Mom was pulling me out into the snow. She loved to be out and about during the first snow. I recall a number of phone calls asking, “Hey girl don’t you want to go for a drive? or Let’s go for a walk and play in the snow.” So why else would I be drawn outside in some of the nastiest weather of the season? Not long after that experience I shared it with my aunt but she wanted to know more about channeling. This idea of someone speaking to you from another place is all new to me, and I can’t say that I know how it happens or if it really does. I can however say that this is the second time I believe someone who was not present attempted to send me a message. The wonders of friendship continued on Sunday when a friend decided to forgo her own health to attend a reading of “for colored girls who have considered suicide when the rainbow is enuf.” When she called she said she wasn’t feeling well, but would attend because of the circumstances – the anniversary of my Mom’s death. To further confirm the presence of spirits in our lives, or at least in mine, I received a package in the mail today from a friend thinking of me during my time of loss. She sent me an essay “Connected To Mama’s Spirit” by Gloria Wade-Gayles that chronicles the mother-daughter bond and our connection with other “dimensions”. It is a wonderfully written story of a daughter’s last days with her mother and how she fought the presence of other dimensions. How fitting! I share this to say that I made it through the first year. 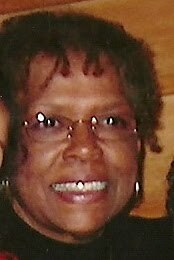 It’s been challenging and difficult, but I have learned that the strength I don’t believe my mother knew she had was passed on to me, along with the gift of loving friends. I miss her daily, but I have faith I’ll see her again. I'm glad you sent the package Lori, and a proper note is on it's way to you. Thank you. Hope all is well with you and the family. Next Next post: Voyeurism in America – Enough with Charlie Sheen!